Looking for alloy wheel refurbishment in Scotland? 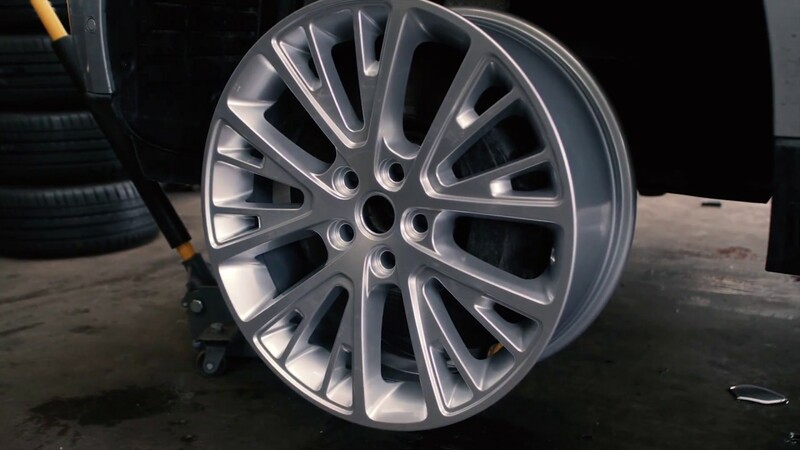 At Skidz we offer a full alloy wheel refurbishment service from start to finish with a 24 month guarantee. Simply drop your vehicle with us in our fully insured premises in Falkirk, Scotland and we will take care of it. The powder coat process involves removing the tyres and stripping the wheel back to bare metal to remove all existing coatings. Wheel inspection takes place to ensure there isn’t damage such as kerbing or corrosion. The in-house technicians repair any damage found. After close inspection, wheel heating takes place to discharge any moisture from the wheel. The powder coating process now takes place to a colour of your choice from complete colour change or manufacturers colour match. Curing the wheel in the over takes place before finished with durable satin or gloss laquer to give a better than new finish that will last. The final step of the process is re-fitting the tyres. The vehicle hubs and calipers can also be coated on request at this stage before fitting the wheels back on to give an awesome finish. Ever more popular, this shiny finish although not as robust as powder coating gives a very nice look when finished. We carry out the same process as powder coating. However the wheel is placed in our diamond tip CNC machine before the lacquer finish. This removes a very small layer of metal from the face of the wheel to give that manufacturer spec. We then finish by applying lacquer. See below our examples of before and after. We guarantee an unbeatable alloy wheel refurbishment service from our premises in Falkirk, Scotland. Contact us today for more information. Costs from £65 per wheel and a 48 hour service is also available. For an exact quote please email sales@skidz.co.uk or call us on 01324 630060. We would be happy to help.